RE•WORK creates and develops it's own emerging tech events but is always open to new ideas and collaborations so please reach out to hello@re-work.co if you would like to discuss custom events. We have partnered with and created events for New Scientist, BioCity, MediCity, GameCity, Nesta and Concirrus. "New technological and scientific discoveries are advancing at an exponential rate so it’s important to explore how they will help to shape future business and society. 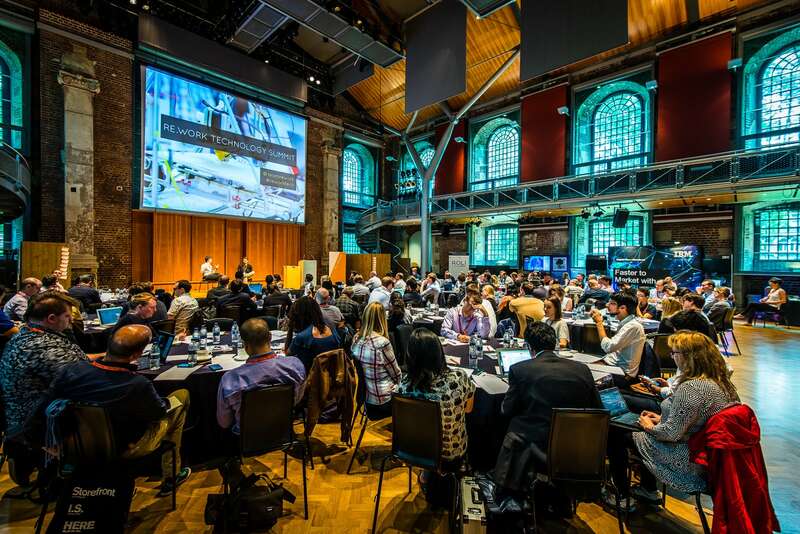 By bringing together key influencers to share cutting-edge research and developments we can explore how to successfully integrate breakthrough technology such as deep learning, artificial intelligence, wearables, the internet of things, smart materials and robotics into industry, the home and the workplace, and engage key business leaders and entrepreneurs in discussions to shape and re-work the future". RE•WORK founder, Nikita Johnson.